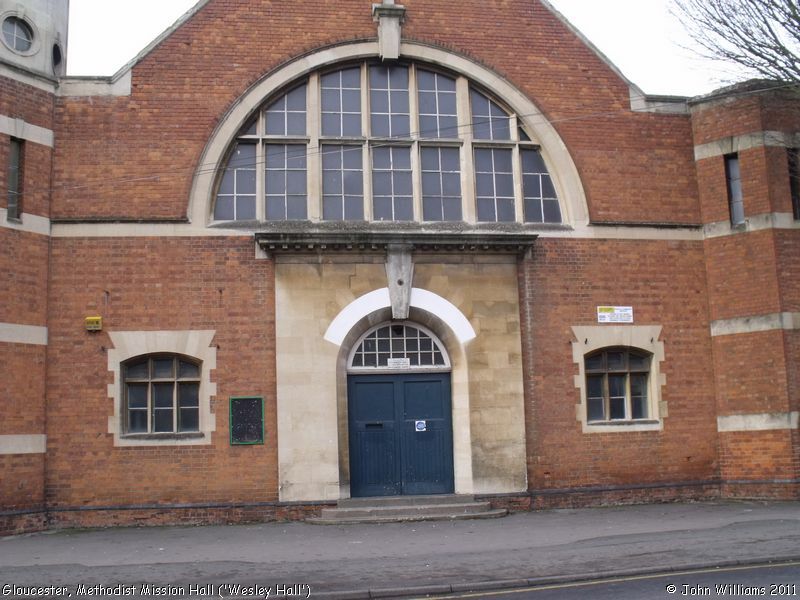 Gloucester City Church meet in the former Methodist Mission Hall ('Wesley Hall'), on the north west corner of the junction of Seymour Road and Frampton Road. It is an imposing building, which was erected in 1909, for a Wesleyan Methodist congregation who had been meeting informally since 1891. It was closed for Methodist services in 1965, and sold to the City Education Committee the following year, after which it became 66 Star Youth Centre. It was due to close in 2011, but obviously obtained a reprieve. 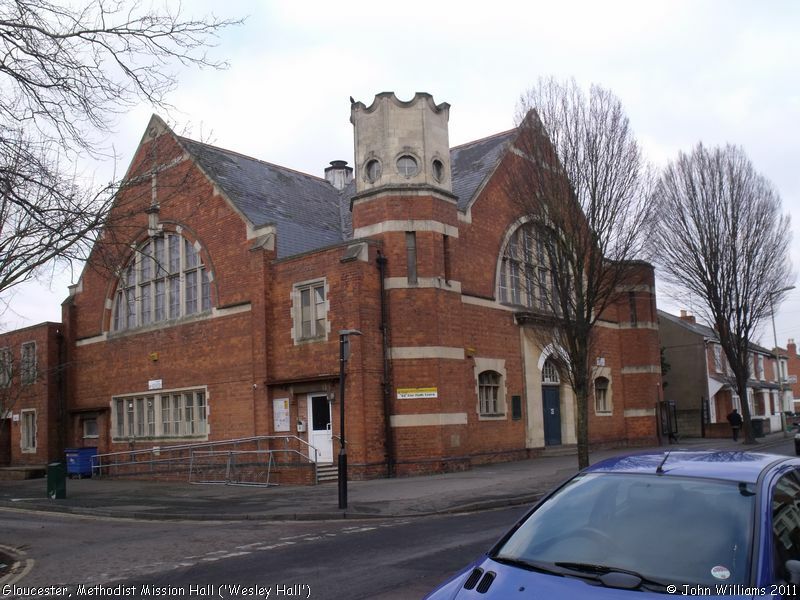 The Gloucester City Church also hold some of their meetings in the former George Whitefield Centre in Great Western Road; but their website suggests "The Chapel" in Seymour Road is their main place of worship. Now or formerly New Frontiers. Gloucester City Church, Gloucester shown on a Google Map. Information last updated on 29 Mar 2018 at 08:54. Please also remember that whilst the above account may suggest that Gloucester City Church remains open and accessible, this may not remain so. This Report was created 26 Mar 2019 - 15:08:08 GMT from information held in the Gloucestershire section of the Places of Worship Database. This was last updated on 7 Feb 2019 at 07:45.